Once the enemy is in direct sight the gunner can point his aiming optics. These optics are fixed to the gun and adjusted in such a manner that the mark in the visor is equal to the focusing point of the weapon. The reticles have distance markings or adjustment levers to correct the distance. 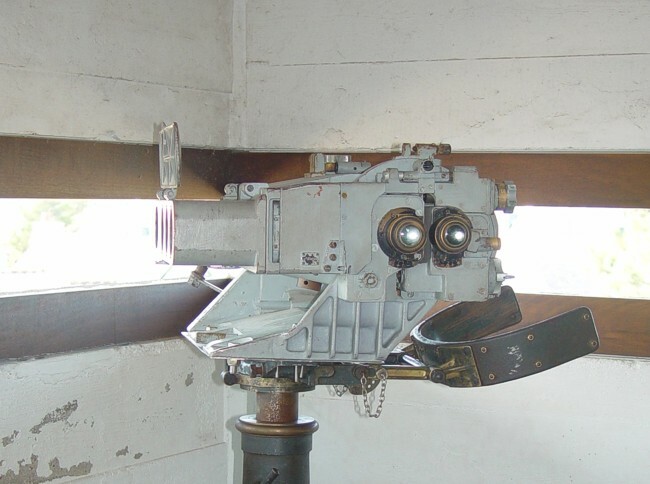 An other type of aiming optic was mounted on the optical rangefinder for anti aircraft guns. These were meant to keep the target in sight so the big rangefinder could measure the distance and angle. I saw my first specimen of the Stab TFC 1 in the Batz museum in France in 1999.